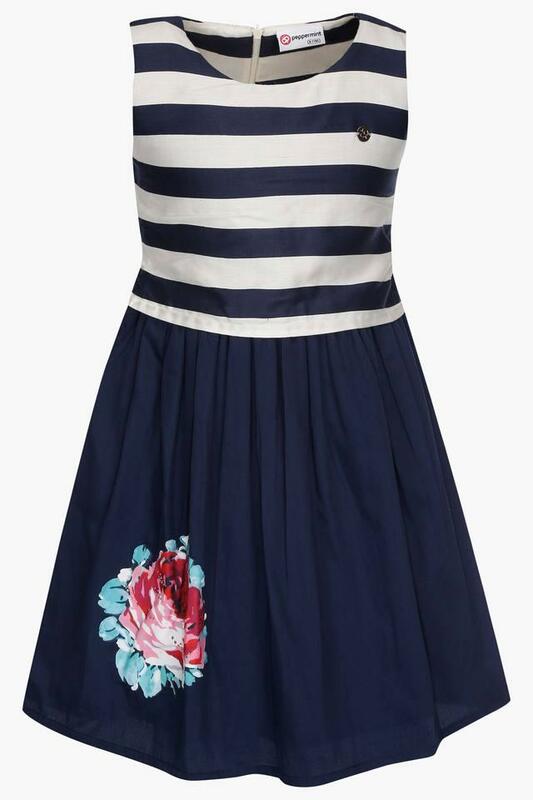 This flared dress from Peppermint, with a stripe pattern, will be a cute pick for your daughter. It also features a round neck that further adds to the look. 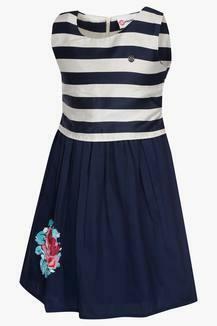 Besides, it has been made of fine quality fabric that assures sheer comfort and a luxury feel. Stylise the clothing collection of your little princess with this sleeveless dress. 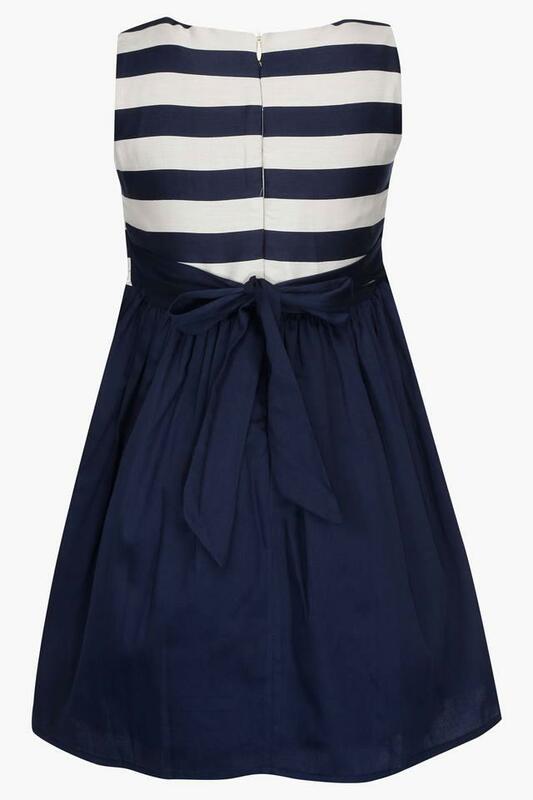 You can make her wear it with a pair of pump shoes for a party.